Finally, technology is coming to the rescue in the long fought battle over collecting delinquent rent. After years of struggling with late paying tenants, skips and evictions, there is a new, quick and inexpensive way to stop losing money from tenants that push property managers and apartment owners to the limit. A Web-based application is now available that allows a landlord to go online and, for a small flat fee, collect the arrearages from a tenant who owes back rent or has been evicted. This exciting opportunity has been around since 1999 for other industries but has recently become available for the rental housing industry. Rent Recovery Service, the largest and most aggressive landlord collection agency in the country, has begun to offer this new application after purchasing the exclusive rights and reprogramming it for the rental housing industry. 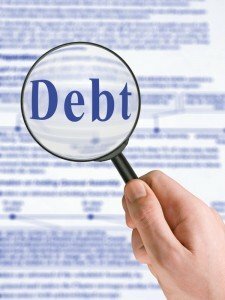 Although Rent Recovery Service has been handling delinquent rent collection for individual landlords and property management companies since 1987, this breakthrough in debt collection technology makes the service available in real time and does away with the conventional contingency fee saving the property owner or manager potentially thousands of dollars in fees. Simply described, the new online application allows any income property owner or manager to input the personal information of the tenant, including all responsible residents on the lease, the amount past due and the date of delinquency. With a few mouse clicks, a form collection letter is generated and snail mailed to the tenant, informing him that the matter has been submitted to collection and reported to the three major credit bureaus: Experian, TransUnion and Equifax. More importantly, the notice that is sent instructs the tenant to remit directly to the landlord or property manager, not to any third party collection agency. That means you get paid the total amount due. No other fees or commissions are required to be paid to the online collection agency. Everything is done automatically including the letter preparation, postage and mailing. The only thing the landlord or property manager must do beyond the initial data entry and payment for the service is go online to update the account once payment is received. If the tenant chooses to ignore the notice, one can order more letters and continue to keep the credit ding on the credit report for up to seven years. The only way to get it removed is to contact you, the creditor. In the event you need additional information on the tenant, technology steps up to help you again. An Address Update Report will not only help direct the notices to the proper address, but if you decide to sue, you will now have a good address for service of the lawsuit. If you are thinking about suing, you can even get an asset report to help you determine if the delinquent tenant has any valuable assets you could levy after obtaining a judgment in court. All in all, technology has enabled a landlord or manager to more aggressively and more efficiently collect past due rent. Rent Recovery Service has even improved their conventional contingency based collection efforts for the really stubborn delinquent tenant. Now you can roll over a tenant account from the flat fee process to a contingency fee process with just a click of a mouse, making it easier than ever to keep the pressure on the unpaid accounts. This technology is also being made available through various tenant screening companies as a new product called Collection Protection. For only $4.95, you can purchase the same collection notice and bureau reporting services in advance when screening a prospective tenant. Currently offered by TenantAlert, the Collection Protection is purchased for every new tenant at the time of approving them for the rental unit. The tenant is informed that the guarantee is being purchased and therefore are told that if there is a default in the future, their credit will be adversely impacted. As a friendly advance notice, tenants know that paying the rent is on time and in full is a serious obligation. TenantAlert recommends that Collection Protection be purchased with each new tenant is approved. Psychologically, the tenant understands the importance of the commitment and the impact that exercising the guarantee will have on their credit and their ability to rent elsewhere. Should the tenant default at some future date, the landlord or property manager simply logs into their tenant screening account, selects the defaulted tenant, and uses the unique code that was designated for that tenant during the screening process. Whether you choose to pursue delinquencies with a preemptive guarantee like Collection Protection or chase deadbeats after the fact through an application like that offered by Rent Recovery Service, you cant beat the ease at which technology has helped you retrieve your lost revenue.